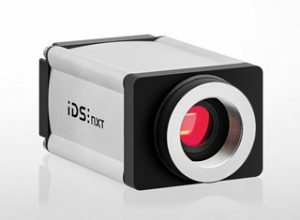 IDS Imaging Development Systems introduced its NXT Series industrial cameras with an embedded AI-based vision app. The embedded AI turns these industrial cameras into high-performance inference cameras allowing vision tasks to be solved directly on the device. Inference times are only a few milliseconds. There are two models in the series: rio and rome (protected to IP65/67). Each model enables users to load pre-trained ANNs (artificial neural networks) of different architectures onto the cameras and execute them. Both models also provide free choice of optics thanks to a C-mount lens holder, industrial-grade M12 circular connectors, a serial RS232 interface, GigE network connection and practical PoE . Instead of a continuous and unfiltered data stream, images, pre-processed data or results are transmitted directly to PCs or machine controls.